Fuel caught my eye as I walked through the main street of Falmouth whilst down in deepest darkest Cornwall, visiting my mother. 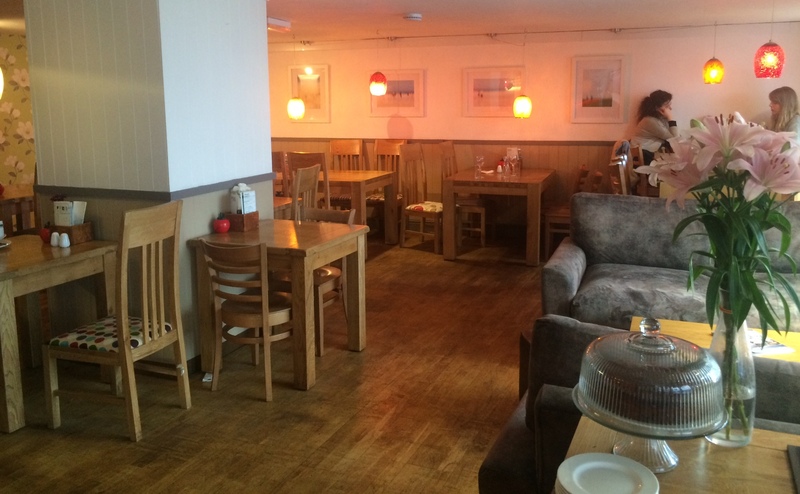 This grey fronted café lounge bar looks stylish, comfortable and welcoming from the outside, inside you’ll find plenty of seating – tables and chairs and squishy leather sofas, plus tables outside for summer-time or the bravest of souls outside that two week window! 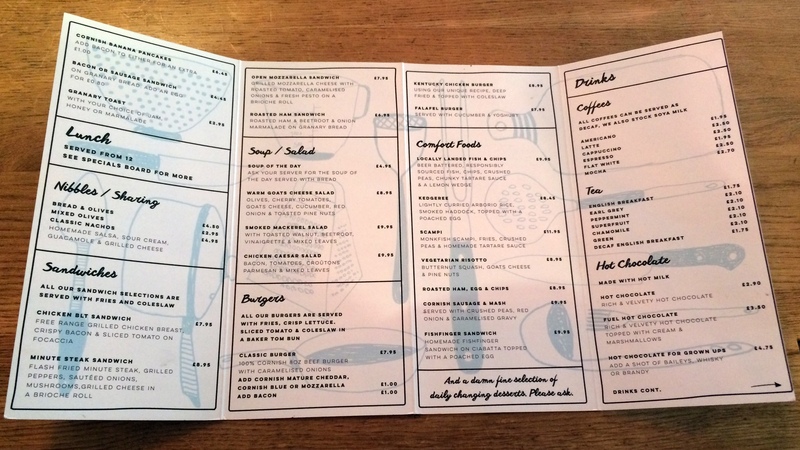 On the food front, they have a great selection of well priced mains together with lunch specials for under a fiver, tea, coffee, booze and cake. I felt Fuel’s ‘Home from home’ slogan perfectly summed up the place. 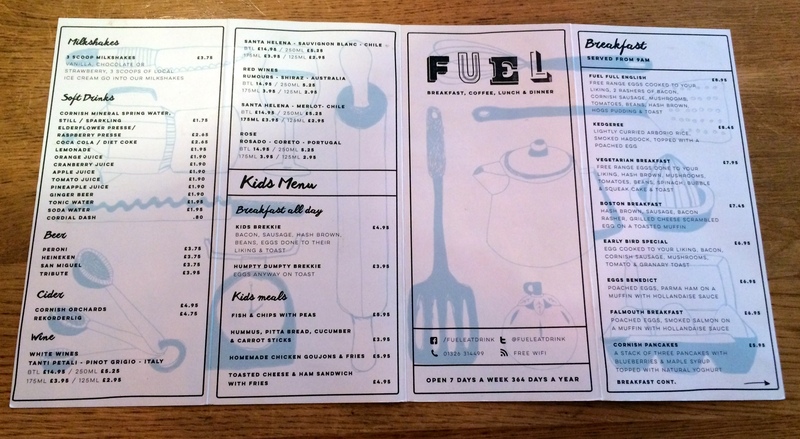 I immediately got the impression that Fuel were supporting local suppliers, ok, not too much detective work required with their ‘locally landed fish & chips’ from the menu together with coffee & beer displays on the bar! 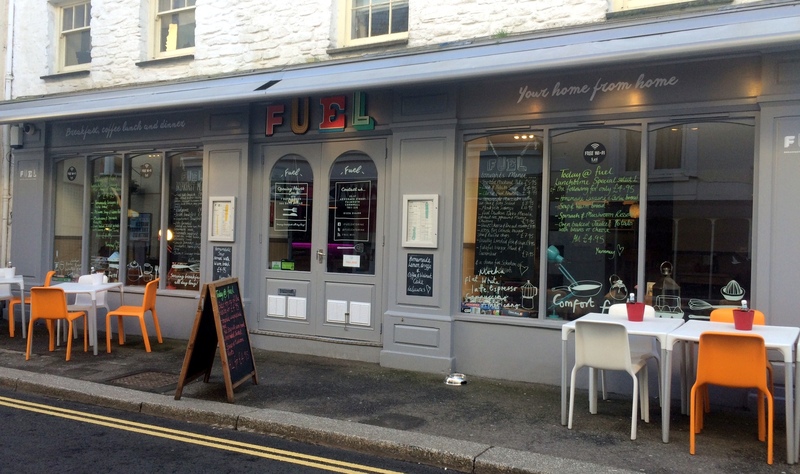 I had a chat with David, one of the guys behind Fuel, who told me that they partner up with local Cornish firms to showcase the freshest local produce and seasonal ingredients. 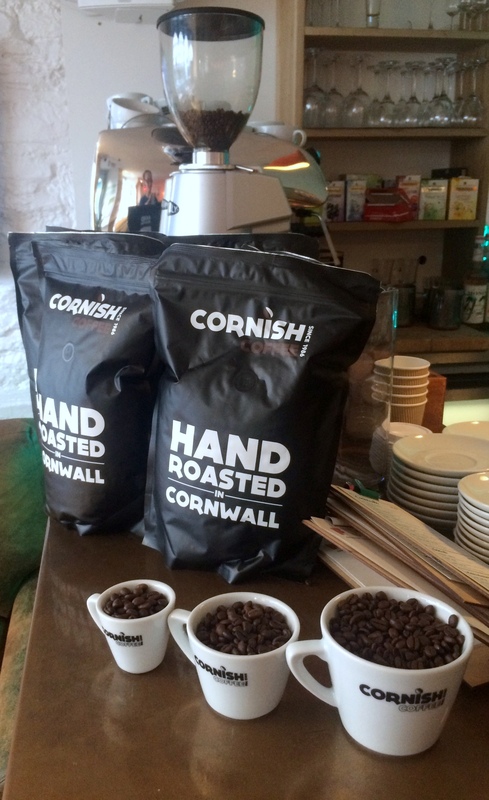 Current partners include Baker Tom’s Bread, The Rebel Brewing Company and Cornish Coffee (I can’t help but note that Cornish Coffee seems to be a subsidiary of the Belgian Mikko Group, who own several ‘local’ coffee brands who hand-roast beans locally, in this case in Cornwall). Baker Tom’s bread has always been a favourite of mine since the discovery, many years ago, of a super-easy soda bread recipe on wonderfully named Domestic Sluttery website. I decided that we should share the Soup of the day and the Falafel Burger with a couple of glasses of white wine (I’m sure we ordered small ones! ), this was my treat after all! 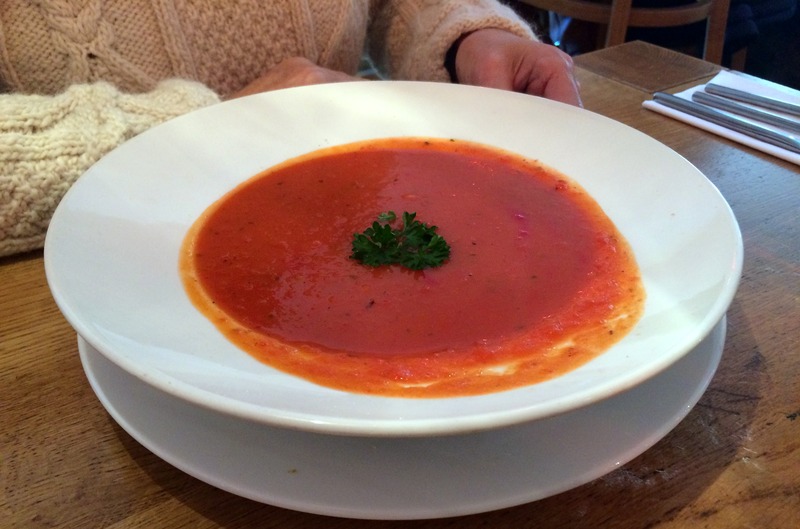 The Soup of the day was a roasted red pepper and sweet potato – served with warm, crusty focaccia. A huge bowl full of tasty hot homemade soup garnished with a sprig of parsley, perfect to warm us on a cold windy Cornish day. The Falafel Burger was delicious, possibly one of the best falafels I’ve tasted, and I do love falafel! 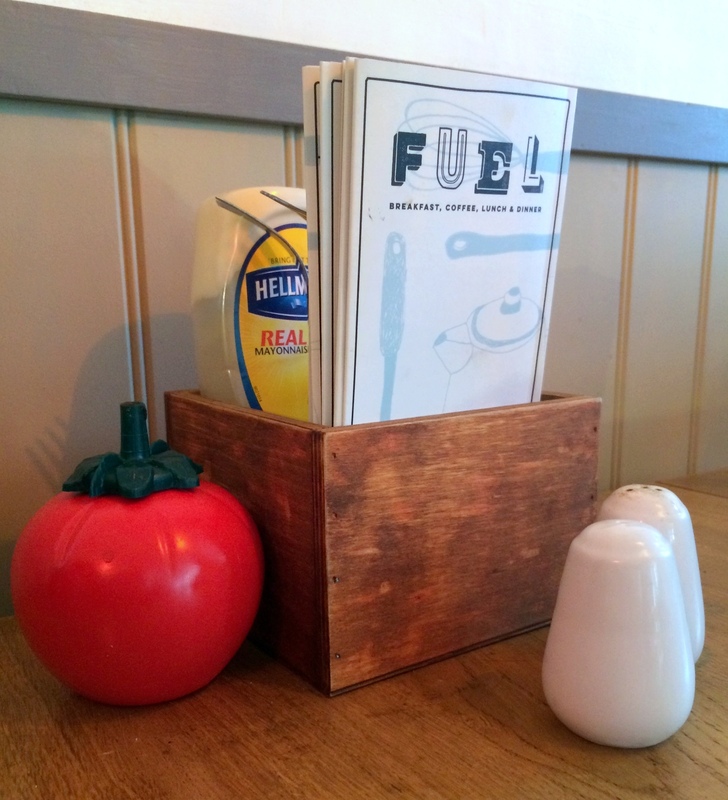 At Fuel, you’ll get one big falafel patty delicately laced with cumin and other spices, in a crusty Baker Tom bread roll, served with a mini bucket of chips, tzatziki dip and mini salad. My only comment was that the chips weren’t as hot as they should have been, other than that, it was a good portion size and nicely presented dish…wholewheat or artisan bun would have been nice too. 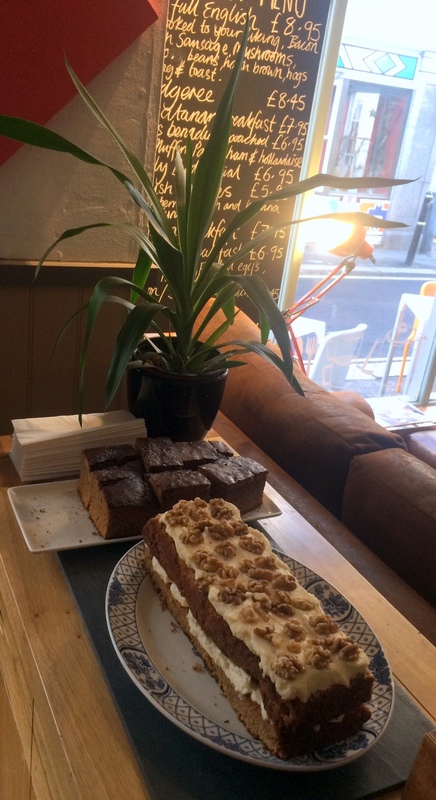 Peek at the cake selection…regretting not trying the carrot cake! We didn’t try the cake, I’m pretty sure it would have been awesome, it looked awesome! Luckily we had Mother-made scones, jam & yoghurt when we got home. From a warm greeting on arrival, finding us somewhere to sit and chatting to me about the producers – I found the whole experience of interacting with the staff very friendly, they were super welcoming and at the same time professional. 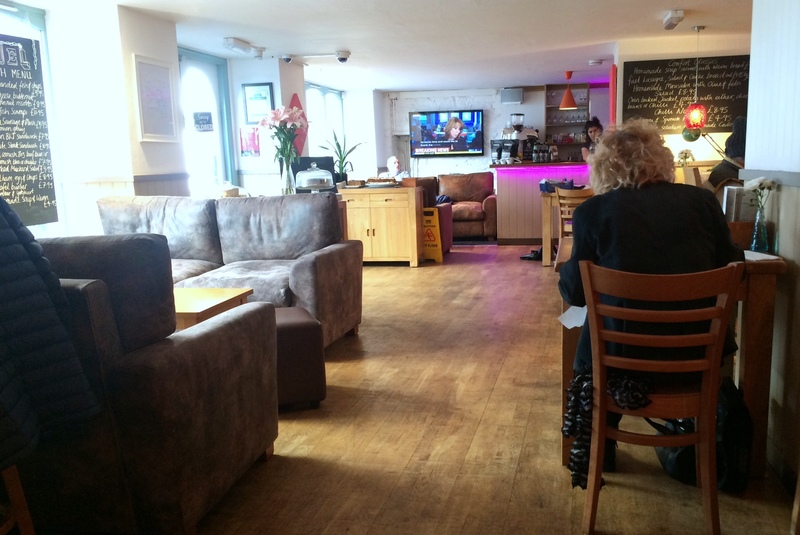 Fuel has a good balance of several huge comfy sofas, bar area for drinkies, and loads of table seating. The décor is a neutral blend of wood, glass, chalkboards all bathed in natural light streaming through the street front windows. 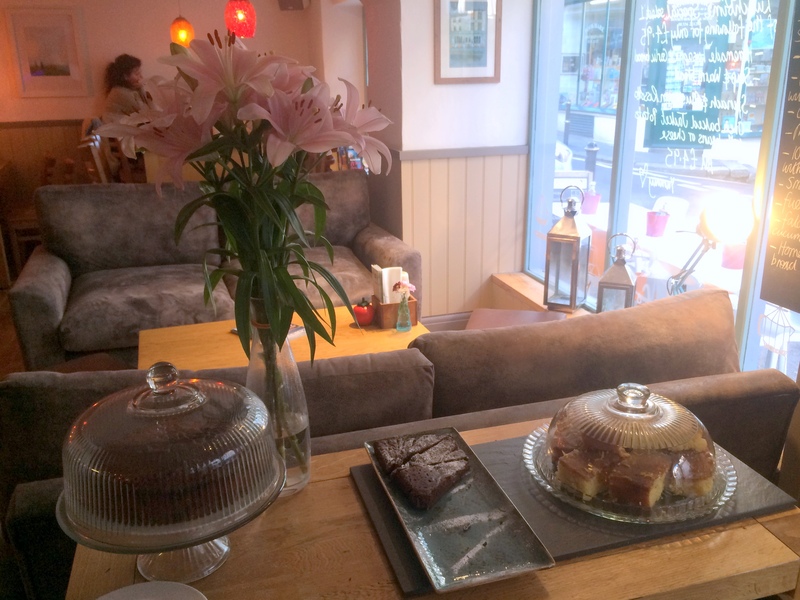 The interiors are finished off with cakes(! 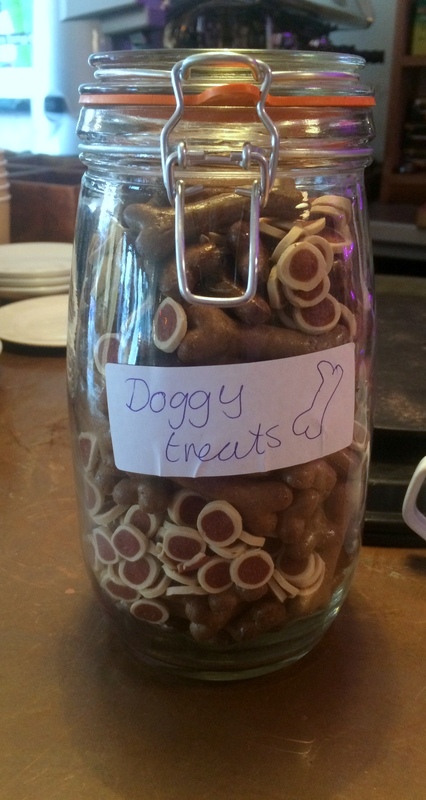 ), flowers, funky lights, coffees, local producer displays and dog treats at the bar! Tables were simply dressed with a box of cutlery and flatware and funky tomato shaped bottles for sauce, which I love! 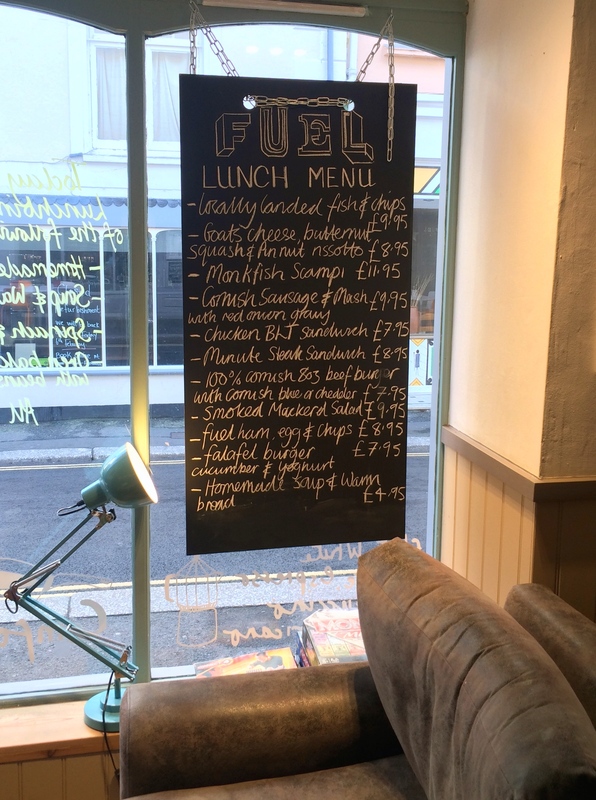 There is a selection of dishes from their lunch menu marked up for £4.95 – displayed on one of the chalkboards on the street – the perfect marketing tool to tempt in hungry shoppers . 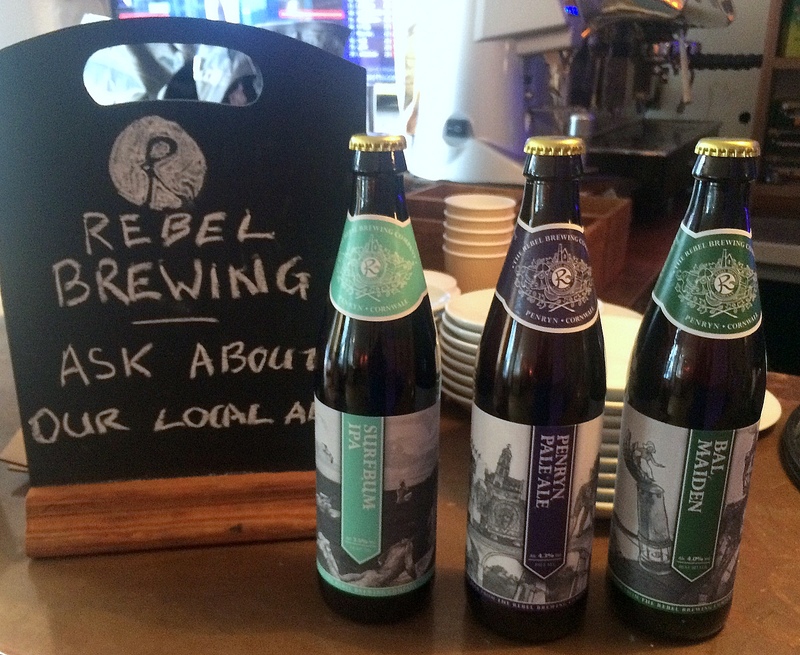 Or choose from the menu at just under £10 for a salad, burger or main, £6-£8 for a sandwich, and around £2 for a tea or coffee. 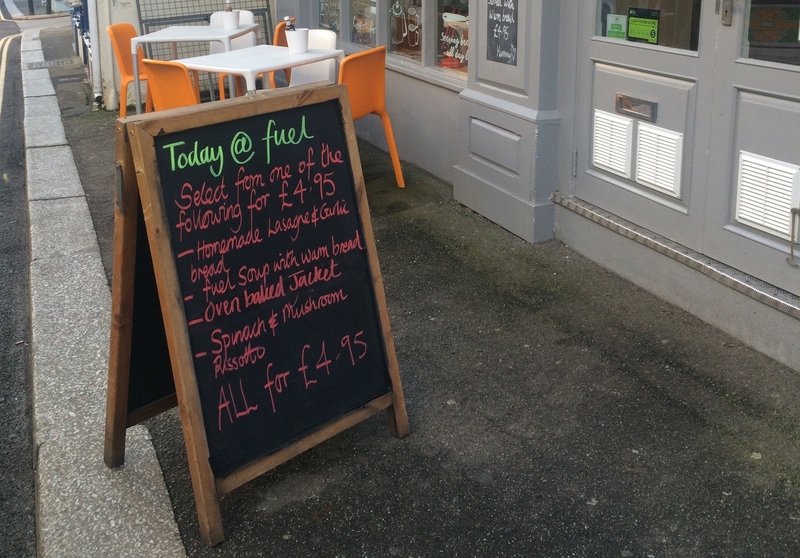 Personally, I’m feeling the value for money vibe at Fuel, especially when you consider they’re committed to supporting local producers, one factor that can often hike up the price of a meal.